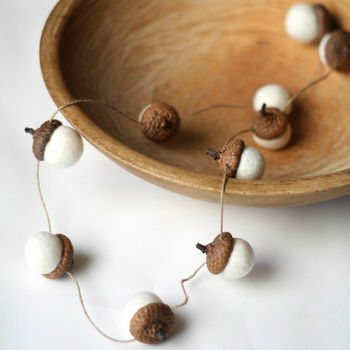 Beautifully tactile, this sweet acorn garland will add a touch of woodland wonder to your home. Drape from hooks or handles, twigs or branches or use to adorn your gifts for a unique twist. 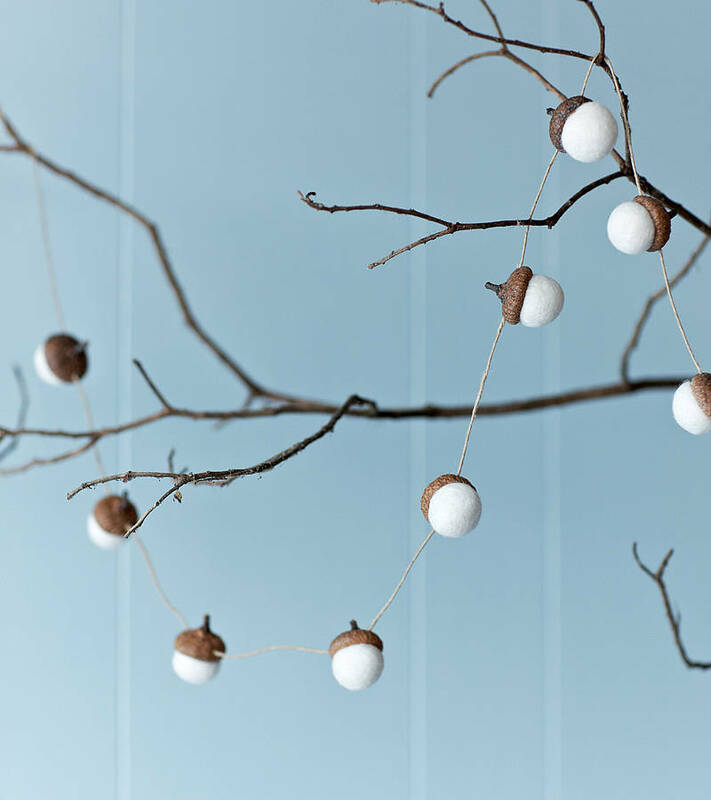 Each garland features ten individual acorns. Wrap around a twiggy wreath or try mixing with fresh foliage to add a touch of seasonal decor to your home. Keep it simple and string along a mantel or around a window frame, they look gorgeous anywhere! Available in white or multi coloured. 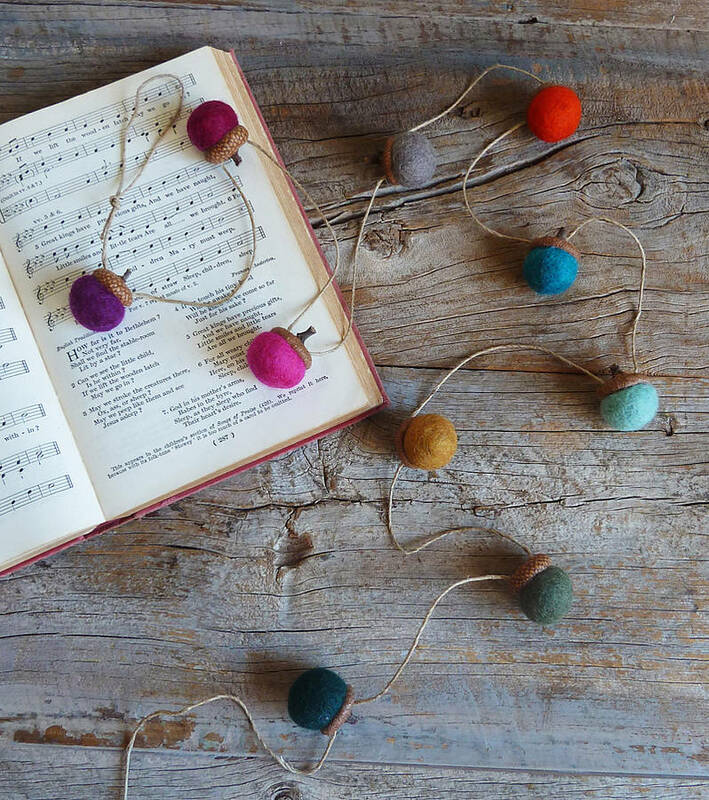 Each acorn is hand felted using soft merino wool and glued to real acorn caps, they are then strung together with hemp twine. Garland is approx 120cm long, each acorn is approx 2-3cm.